When we hear the word “investigation”, we associate it very often with Sherlock Holmes or FBI. For us it seems like to analyze the cause and the circumstances under which a given crime has been committed. Well, writing an investigative essay is not that dangerous, but still it is pretty demanding. 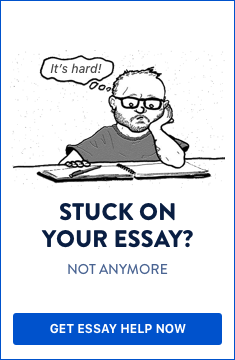 What is an investigative essay? An investigative essay represents the information that you have gathered and analyzed by yourself, by employing logical and analytical skills, in order to solve a problem (or to answer a question). It is one of the most creative processes of writing. Unlike all these types of academic papers, for instance, here you do not need to sound “too scientific”. Actually, you have to be curious, skeptical and always double-check your resources. For, the good investigation consists of three important things: goals, methods, and sources. Here you should reflect on your personal interests and knowledge (if your instructor has not given a definite topic). Try to find a problem which is far from settled. Basically, it can be a controversial topic (i.e. Abortion), or a topic which has various interpretations (i.e. Quantum theory in Physics). However, an investigative essay can also be focused on a theory which has been confirmed as “true” for a long time (or stereotypes that we usually use in our daily life). The structure of the investigative essay is not that different from other type of essays. You should introduce your topic and set forth a strong thesis; then, prove it by using appropriate facts or arguments. It is very important to be curious, to cast doubt on every possible point of view. We recommend you to analyze the facts as they are, and to interpret them according to renowned theories or conceptions. Don’t be too subjective. Remember: Sherlock Holmes would have not accomplished his tasks had he not been objective and neutral. Sources are the key to a good investigative essay. You will find appropriate sources by yourself. There are various sources that you may refer to: newspapers articles, internet publications, surveys, images, videos, personal interviews, personal experiences and impressions (for example, you can travel to the place where an important event has occurred, and to speak with the local people). Always check your sources! A Wikipedia article, a Facebook post, or an anonymous article in the local newspaper are not the most reliable sources. If a given source contains evident discrepancies, or missing facts (that you know are true), then it may be conceived as intentionally distorted. Analyze a given source only within its context. That implies: to know who is speaking, where, when, why, and what. The author of your source has different biographical experiences than you; then, it will be difficult to understand an article, an internet post, or a photo image. Besides, people have prejudices and sometimes the latter are just incorporated into their writings. It is an unintentional process which only a neutral observer can notice. In conclusion, never be afraid of being too curious or too skeptical. If you are still not sure about how to write an investigative essay, just imagine that you are a true explorer and discoverer. You never know what is in front of you, and this is exactly what can make a real explorer of you! Pick up a topic and start writing! If you are still not sure how to write an investigative essay, just imagine that you are a true explorer and discoverer. You never know what is in front of you, and this is exactly what can make a real explorer of you!